Product Owner is a critical role in Scrum. When it is missing there’s many things that don’t work. Prioritization, answering questions about the product quickly, you name it. But what is a Scrum Master to do? Listen in and explore with us the many anti-patterns that emerge when the Product Owner is missing in a Scrum team. In this episode, we refer to the Oikosofy Story Mapping Workshop facilitation guide. Sebastian works as a dedicated Scrum Master for two delivery teams at Fidor Solutions in Munich. The team members are from 10 different countries and spread into 3 different locations in Germany, Spain and Ukraine. Fidor enables clients to become digital banks based on their ecosystem. Sebastian also works with the wider organization to help them transform with lean and agile. 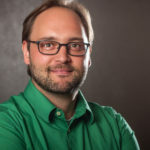 You can link with Sebastian Hitzler on LinkedIn and connect with Sebastian Hitzler on XING.